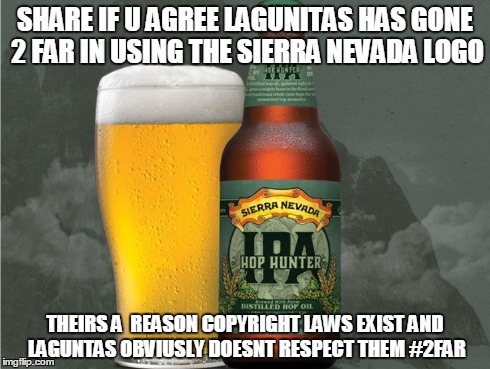 Amid controversy and flagrant disregard for copyright laws, Lagunitas Brewing Company released their newest offering, Hop Hunter, using Sierra Nevada’s logo front and center on the label. While you can clearly identify the beer as a Lagunitas offering due to the iconic IPA lettering, the Sierra Nevada trademark may cause substantial confusion for the average consumer. 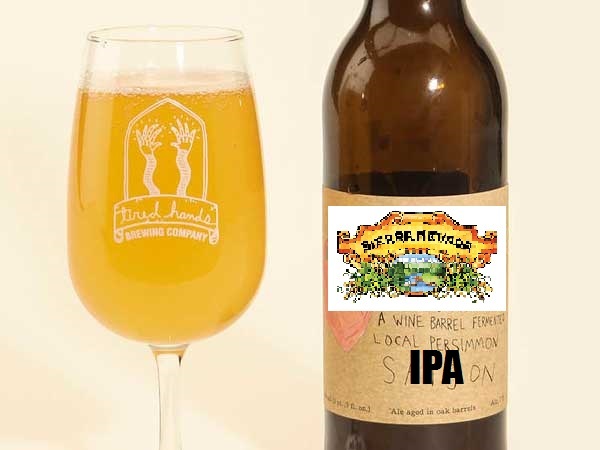 For the uninitiated, it may look as though Sierra Nevada has brewed their own “IPA” and as a result of this mix-up, customers may accidentally be hoodwinked into supporting a completely different brewery. While there are currently no cease and desist letters being issued by Sierra Nevada, a typically levelheaded company, this opens the door for several other breweries to begin using the Sierra Nevada logo on their own IPAs to drive up profit margins. “There’s no question people know what Sierra Nevada is,” noted legal scholar Simon Jabronski, “the real dicey issue is when every brewery wants to start tossing ‘Sierra Nevada’ all over their packaging, when who knows who the actual brewer could be. The next thing you know, we could have more than one brewery using the letters “IPA” on their labels, which would be clearly unacceptable.” While generating a lawsuit may seem excessive over what would appears to be a completely trivial matter, stranger things have happened in the beer industry. Adding a further layer to this legal morass is the fact that Lagunitas has chosen to use Sierra Nevada’s secret ingredient in their forthcoming IPA: hops. While the average consumer may not realize it, Sierra Nevada uses this esoteric plant as flavoring additive in several of their beers. 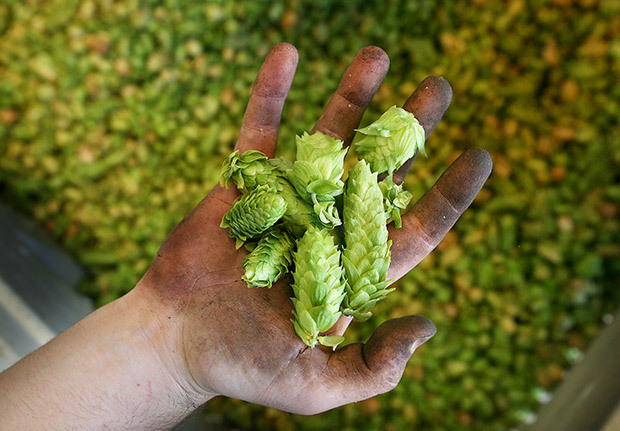 If every brewery began using hops in their brewing process, it would be a huge blow to the iconic taste of Sierra Nevada, IPA or otherwise. Lagunitas has brazenly announced their intentions to add plant matter to their beers in a matter not unlike iconic Sierra Nevada offerings. DDB will continue to provide more details as this legal struggle unfolds.